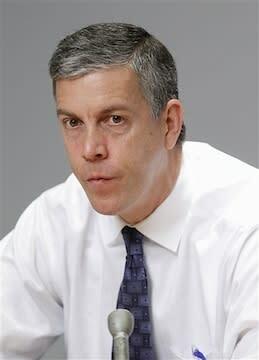 Education Secretary Arne Duncan said this week that schools should incorporate personal finance into lesson plans. He proposes that such instruction should start as early as kindergarten to combat widespread financial illiteracy. "As important as reading and math and social studies and science, I think today more than ever financial literacy has to be part of that," Duncan said at a speech at the Treasury Department. "To continue to have a population that is relatively illiterate in these matters I think has real negative consequences to our democracy." Some American schools have already taken the lead on this, showing their students not only how to open savings accounts but also how to understand credit markets and interest rates. Schools affiliated with the National Academy Foundation--a nonprofit network of career academies--teach high school students the basics of personal finance. More than 200 of their high schools focus on finance as a career, linking students to internships in the finance industry and offering them electives in subjects such as accounting. In the elective classes, students learn to read and interpret documents such as a company's annual report or a home loan. But they also learn about economic principles in their traditional classes. "We connect finance education to Math, History and Language Arts," NAF Chief Academic Officer Andy Rothstein said. Some credit unions open up branches in the high schools--partially staffed by the students--where students can also open up savings accounts. Rothstein said that since most of the students in NAF schools are poor and live in urban areas, it's even more important that they learn how to navigate basic financial decisions. "Their financial needs are higher by definition," Rothstein said. "They need to be able to access that knowledge to move from poverty to middle class. Too often their own communities and families are not sophisticated in financial management." And poorer students need to be able to understand student loans in order to access higher education. "There are a lot of forms that are very complicated to complete. FAFSA"--the Free Application for Federal Student Aid--"is worse than a tax return," Rothstein said. A recent working paper by Dartmouth economist Annamaria Lusardi found that "the majority of Americans lack basic numeracy and knowledge of fundamental economic principles such as the workings of inflation, risk diversification, and the relationship between asset prices and interest rates." Most Americans do not prepare for retirement or their kids' college expenses, and a significant minority of them do not know the terms of their own mortgages or the interest rates on their loans. Since employer-controlled pension plans have largely been replaced by 401k plans, it's even more important that Americans know how to plan for their own retirement.